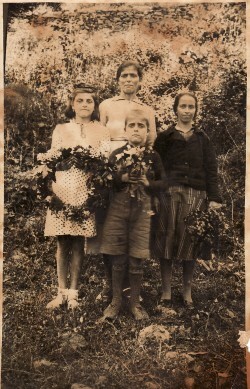 Above: With my mother, Maria, brother, Ignatios, and aunt Eleni Tsismeli (right). I am on the left. 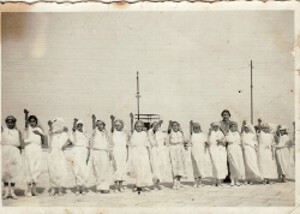 Above Right: At a school function; I am seventh from the left. 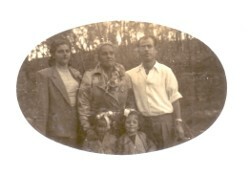 c1939. 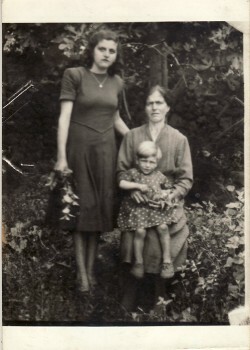 Above: With my mother, Maria, who is holding my brother, Pavlos. 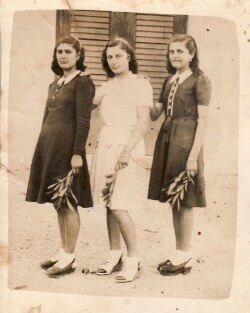 Above Right: With my friends, Evdokia Leontiou and Katina Kralli. I am on the right. Above: With my husband, Andonios, our daughters, Magdalene and Maria, and our neighbour Mrs Millwood. 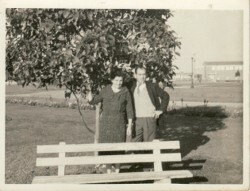 circa late-1950s. 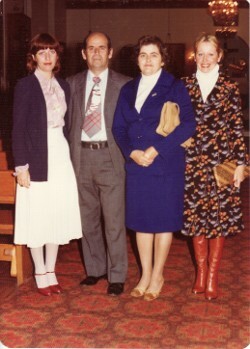 Above: With my husband, Andonios, and our daughters, Magdalene and Maria.